At the international food festival “Taste of the World-2006”, the Viet Nam’s longest fresh spring roll was made by over 200 chefs of the Sai Gon Chefs Club yesterday. 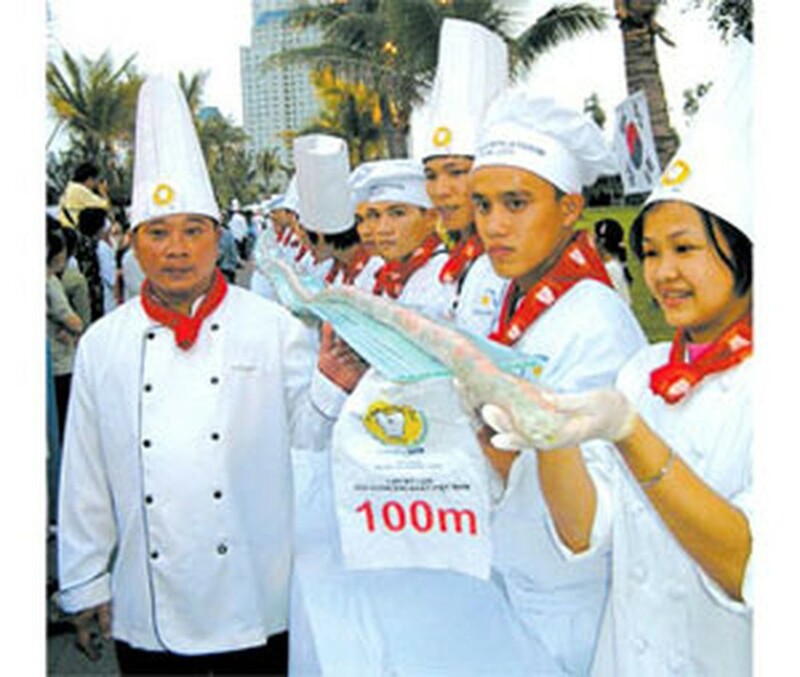 The fresh spring roll was 102.49 meters long, breaking the expected 100-meter record, 3 centimeters in diameter and 102 kilograms in weight. The roll used 45 kilograms of fresh rice noodle, 25 kilograms of rice paper, 25 kilograms of meat, 67 kilograms of shrimp, and 25 kilograms of fresh vegetable. The roll was sold to visitors at the price of VND100,000 per meter. The money will be given to a charitable fund to help disadvantaged children in Ho Chi Minh City, manager of the program Quach Thien Tuong said. The Viet Nam Guinness record climaxed the three-day event from December 1 at the Van Thanh Tourist Park.